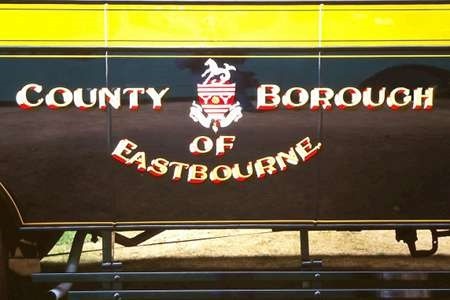 Eastbourne Corporation purchased this single Regal III 6821A with East Lancs. DP30R body in 1950 and numbered it 11. 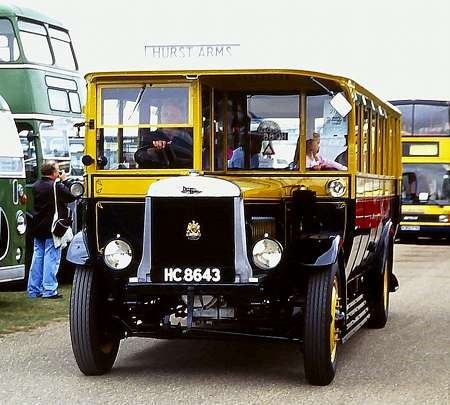 Though they also owned a small number of other single deckers it is said that this one was intended to provide a better class of vehicle for private hire work, though it did perform its share of service work if the need arose. 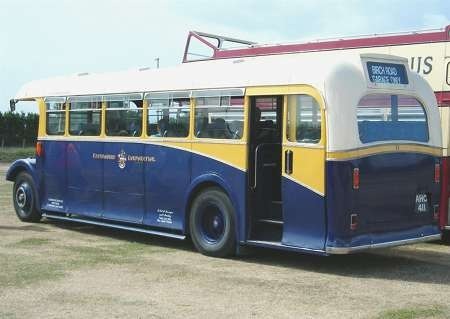 In the late 1960’s it was repainted from the much admired, traditional blue, yellow and white livery into the latest cream and blue version recently introduced on the Roadliners and Panthers and gradually being applied to some double deckers. Although to most this was a regrettable move, the new livery still looked very smart and their buses were always immaculately turned out. 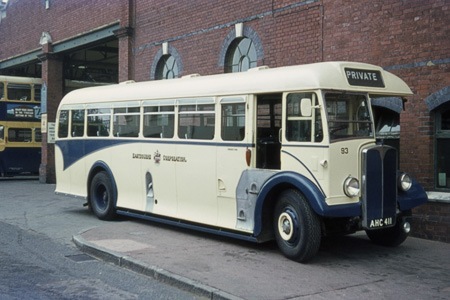 It is seen here outside the original depot in Churchdale Road in July 1970, having just been renumbered 93. 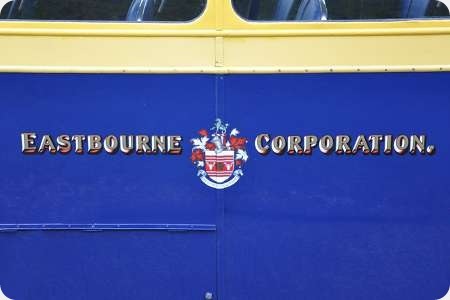 Sold to the London Bus Preservation Group in 1978, it was later repurchased by the Corporation, and has since been restored to full PSV status by them and into its original livery as no. 11 once more. It has attended many rallies, but is still also available for private hire work and even puts in the occasional appearance on service work. 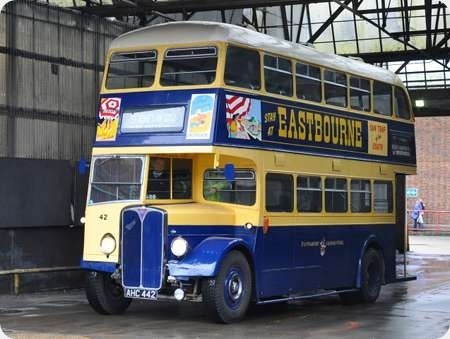 Wonderful in either livery, but I do prefer the original one, as seen in the lower picture. Everything about this bus looks right: the glass louvers add style, the swoop doesn’t detract from the horizontal flow of the body, and the rear end has prewar dignity to it. 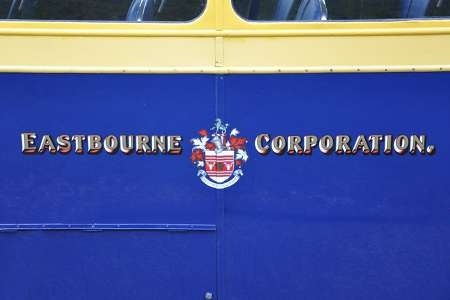 Would that all coach bodies had this service-bus integrity of design. Much as I usually prefer the original livery, Ian, in this case, I think the upper photo gives a much lighter look to the vehicle. Maybe the omission of the yellow swoop would help.